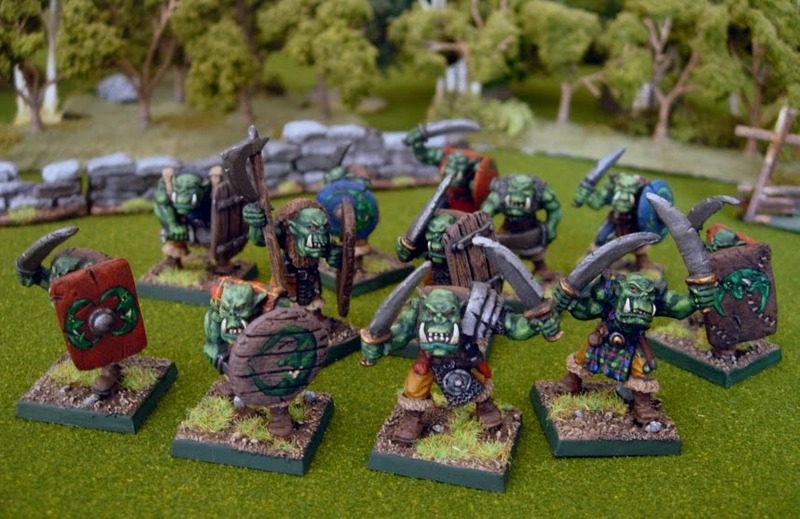 I got a few Lancer Miniature Orcs finished before the end of Orctober. I'll get the rest finished next month hopefully... and with better pictures. I quite like these guys. 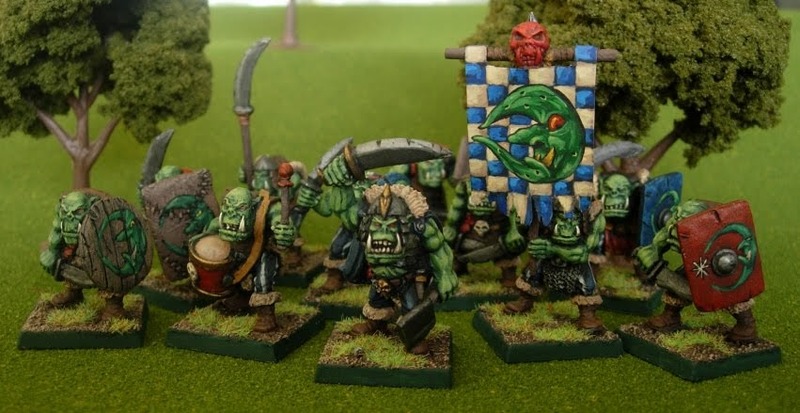 They are big beefy Orcs probably closer in style to what GW was putting out with their plastic kits in the late 90's and aughts but with a little less exaggeration. The sculpting is good, not knock your socks off good but detailed and interesting enough to give them a lot of charm. Not to mention they are affordable imo and they are in proper METAL! I like the banners! And the guy with the sword in the charge of the wolves has a flouncy imperial shirt on, probably stole it from a child. fantastic skin colour....can you please share the recipie? I finished up these guys a few weeks ago and finally got some photos of the them. There's 27 of them. Not sure why I didn't just round up to 30 when I bought them but oh well. Maybe if Lancer Miniatures ever adds anything else to their catalog of interest I'll pick up three more. 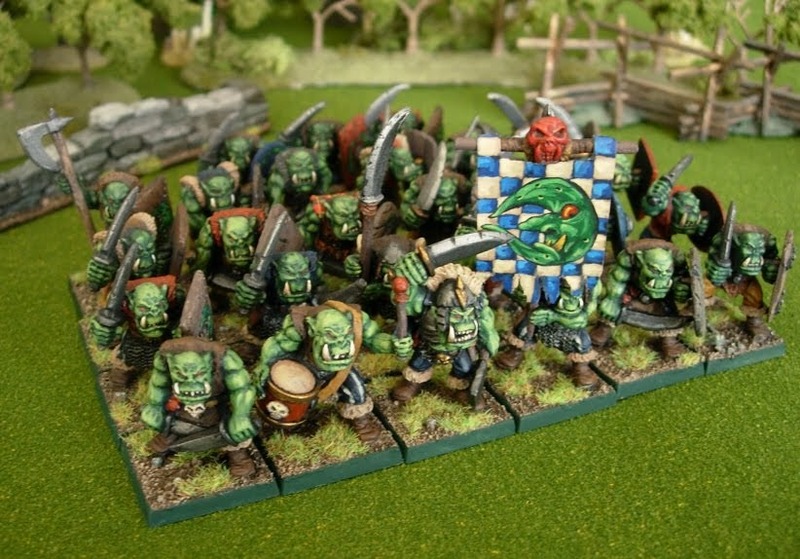 So here they are 27 brutish meat headed Orcs. A few of the new ones I painted since my last post. I tried out some test plaid on a few of them. I definitely need to work some more on that. They look great! As does the plaid. However, what I want to see more of is that archer dude in the post above the recent one. 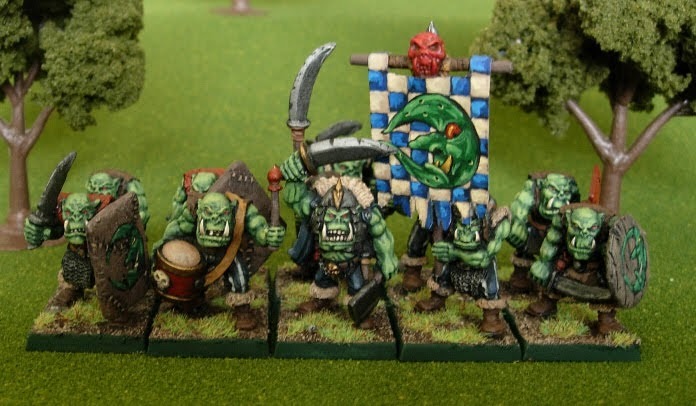 They are great, and tour painting pattern adds a lot of character to these greenskins. Coming soon... I'm test painting a few Oathmark humans. 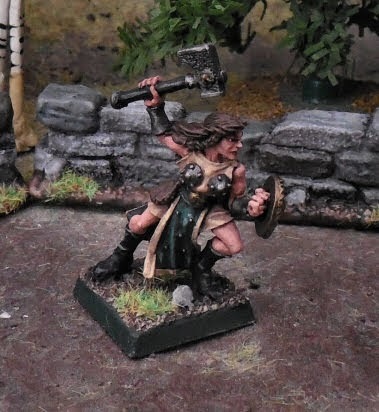 A couple weeks ago the Mad Viking (Zak) sent me a Sister of Sigmar. Thanks Zak! So I painting her. And that was all the inspiration I needed to finish painting off the few other Sisters Ive had kicking about. The Bertha Bestraufrung I've had painted for a while and she's usually used as a warrior priestess in my Stirland army. 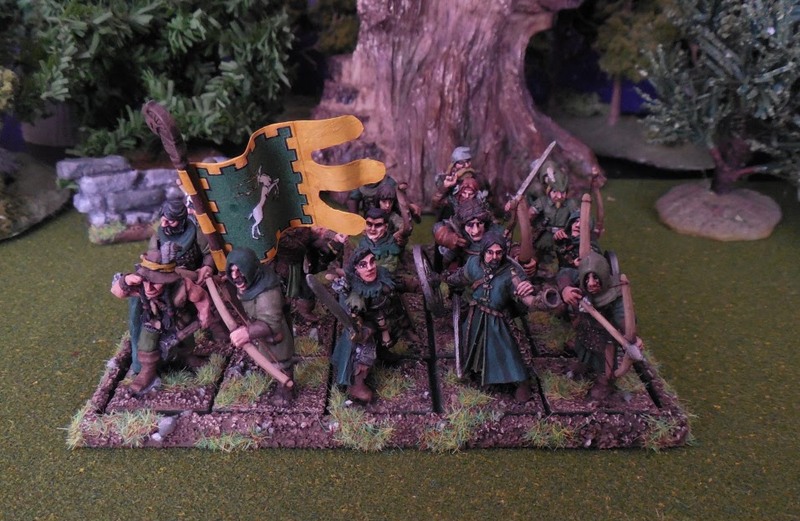 I painted them in green rather then the tradition red to help match in with my Stirland army (Daughters of Freya?). And just as a reminder you can view Steveb's collection presented by the Mad Viking here: https://www.youtube.com/channel/UCOBvs0UqI8PKPzW3ViXr_kQ Dont forget to subscribe. How can we participate Zak? King I have two sights on face book, "World of Steveb" and my You Tube channel , "Mad Viking"
The counts rangers are a hardy bunch of men (and women), skilled woodsmen and expert trackers. 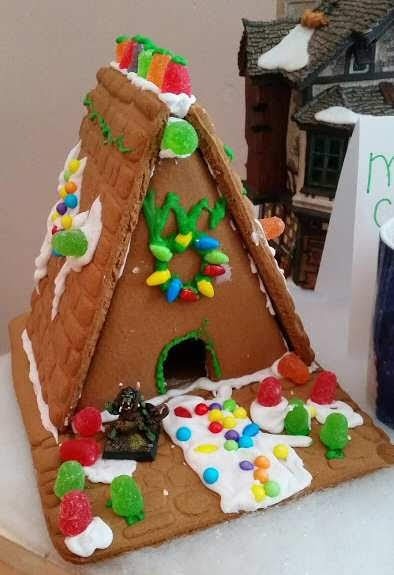 They patrol the woods and mountain passes, forming the first line of defense against the incursions greenskins. The group is made up of all my odds and ends carrying bows or hunting crossbows. Some of my favorites here. 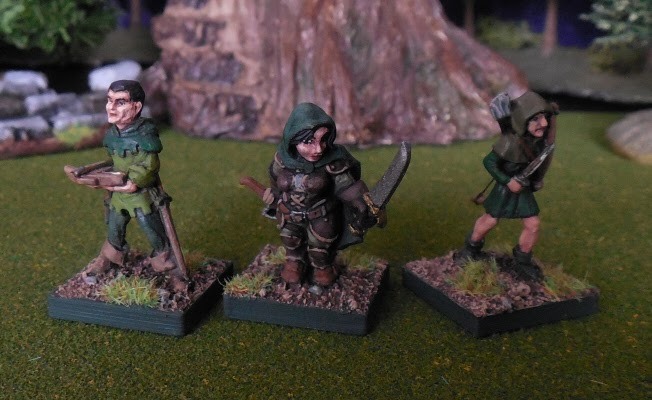 From the left we have an Asgard/Viking Forge (Sternbow), a Citadel AD&D Ranger, Citadel Boromir (the new line) and another Citadel AD&D ranger. More favorites. 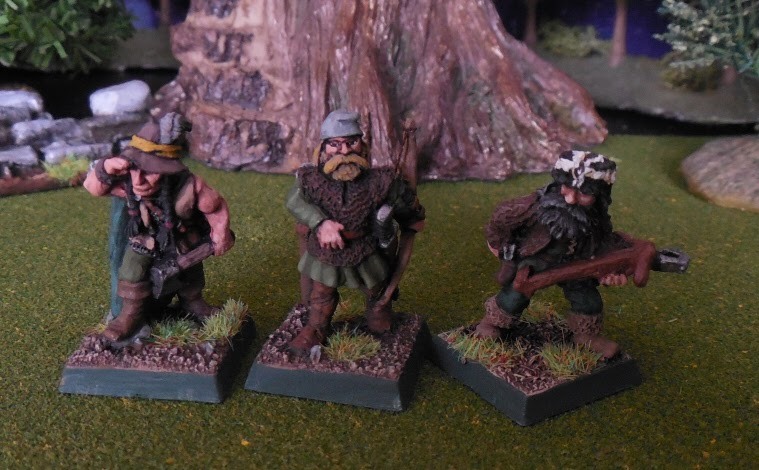 All three are Citadel, the Indian (I call him chief Falling Rocks) and the mountain man on the right are two of my favorite Citadel pieces and make perfect rangers. 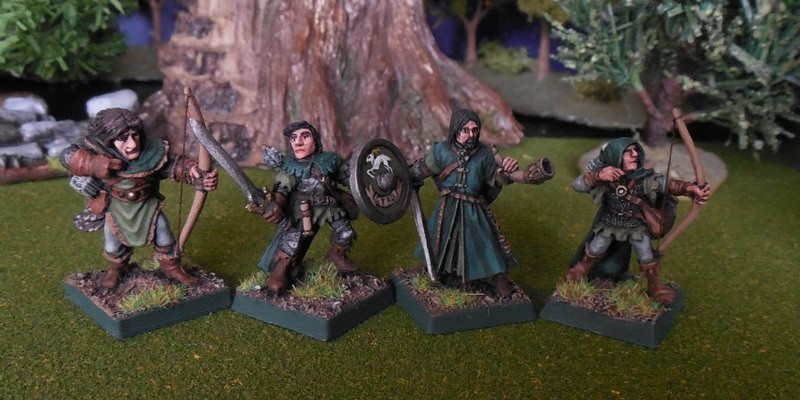 I believe the chap on the left is from Grenadier, the dwarfess is a Reaper bones (Dwarf or just a full figured lass?) 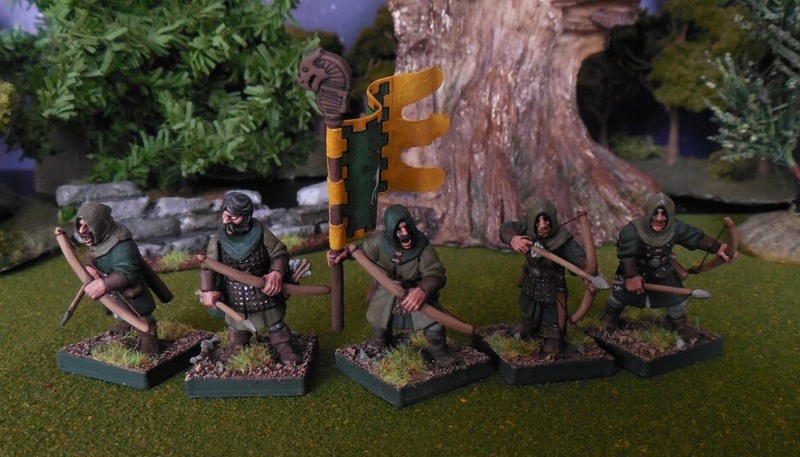 and the lad on the right is an old Tom Meier/Ral Partha elf. 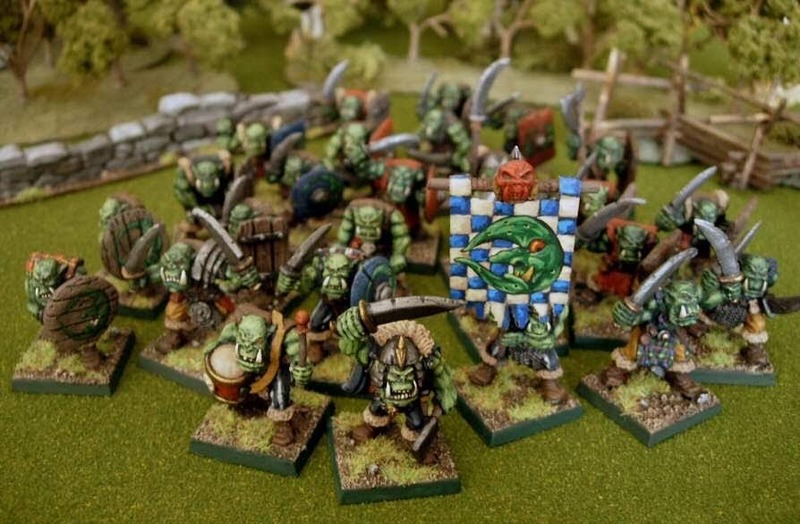 I believe these are Ral Partha, two of which are from their old Dragonlance line. I'm not sure who makes the Robinhood looking fellow. I also picked up a new scenery piece from a Hobby Lobby discount bin. 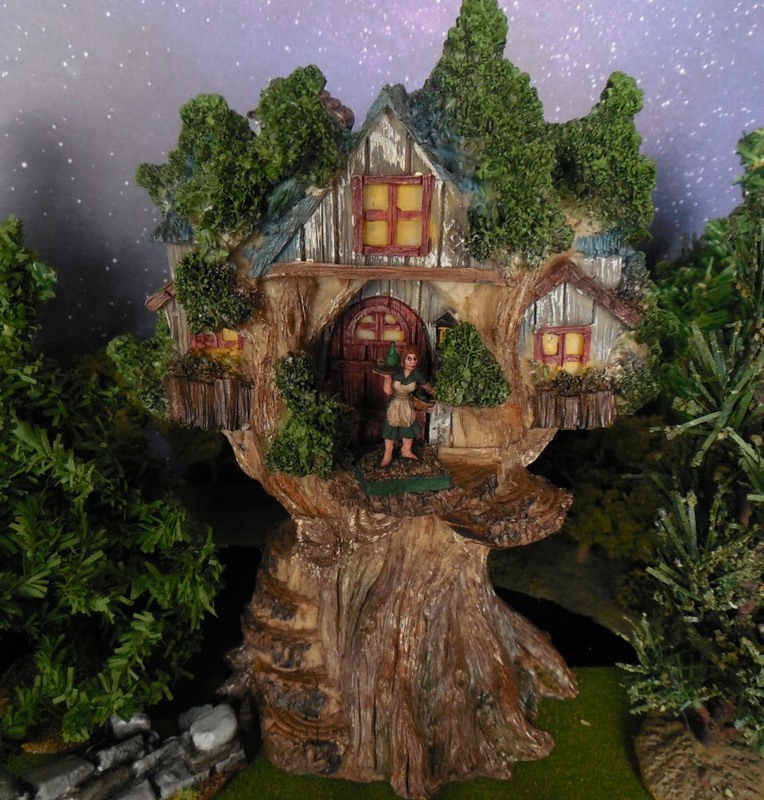 Its one of those garden fairy decoration pieces but I think it fits in fine as a fantasy tree house and scales well enough. 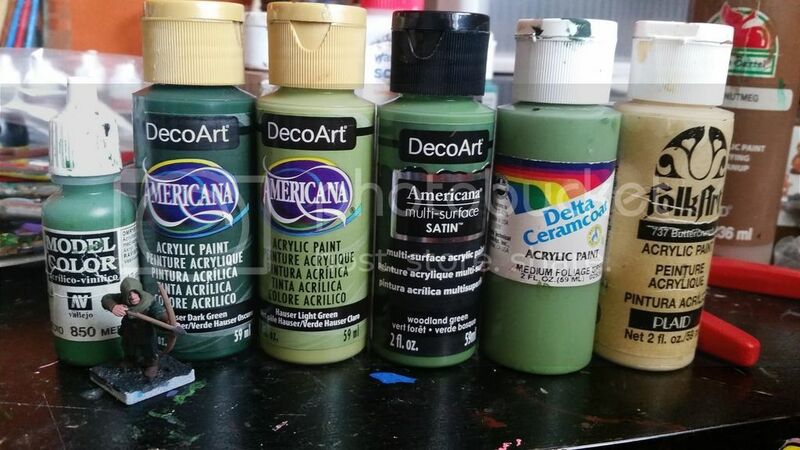 I should add that many of these guys were painted in the early 90's and just touched them up to varying degrees. Great unit of rangers. The oathmark guys slot right in! 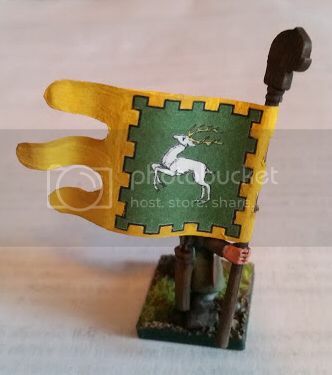 What is the creature on the flag? from this angle the poor thing looks so emaciated.